Here are a few photos of the festival on October 16th for your viewing pleasure! These are pictures of the prelude to the main event. 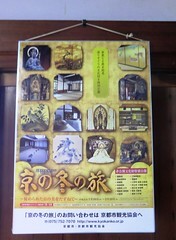 Check back next week for pictures of the mikoshi being brought into the South Garden! 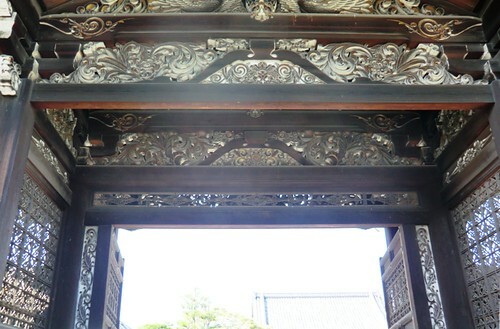 The intricate carving and decorations on the opened Chokushi Gate. 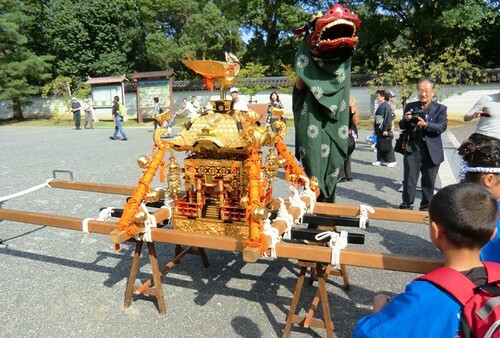 Visitors to the temple admire a small mikoshi while a lion dance (shishimai in Japanese) is performed. 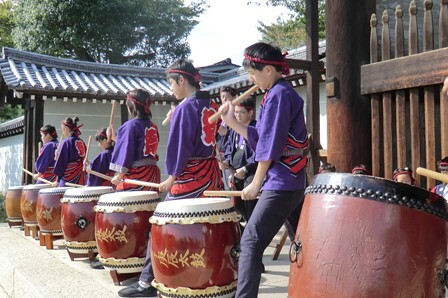 Several large drums, taiko, were lined up in front of Niō-Gate and were played by the members of the Fukuoji Kōshin Taiko Club, members of the children’s club are shown playing above. 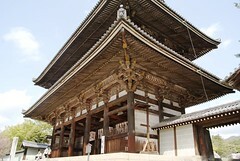 The first thing most visitors to Ninna-ji Temple see is the Niō Gate. The gate stands 18.7m (61.4ft) tall featuring a tile irimoya (hip-and-gable) roof and two stories. The present Niō Gate was constructed between 1637 and 1646 after the original gate, along with other structures on the temple grounds, was destroyed during the Ōnin War. 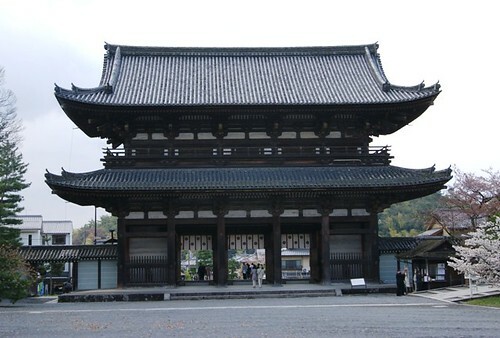 The gate is built in the Wayō (和様) style, a Japanese style that originated in the Nara Period (710-794). On the left and right sides of the gate stand statues of the two guardian Deva kings. On the interior side of the gate, two mythical lions sit directly behind the Deva kings. 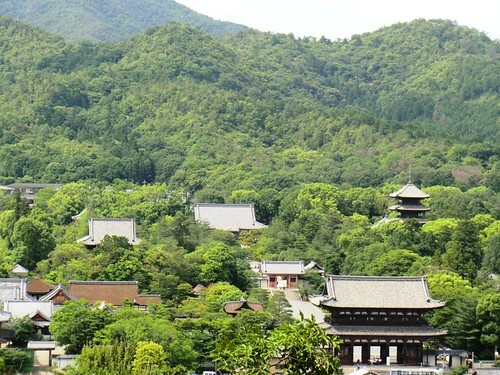 The Niō Gate along with the gates at Chion-in and Nanzenji are considered to be the three great sanmon-style gates of Kyoto (京の三大門). These three gates were constructed during the same period, but the Wayō style of Niō-mon offers a contrast to the Chinese Zen-style architecture of the other two gates.